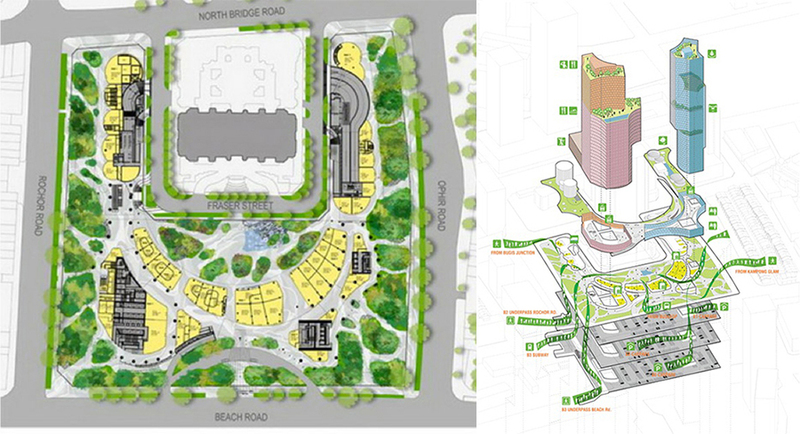 DUO Residences is an extraordinary iconic development soon to highlight the busy sparkly streets of Bugis, Singapore. 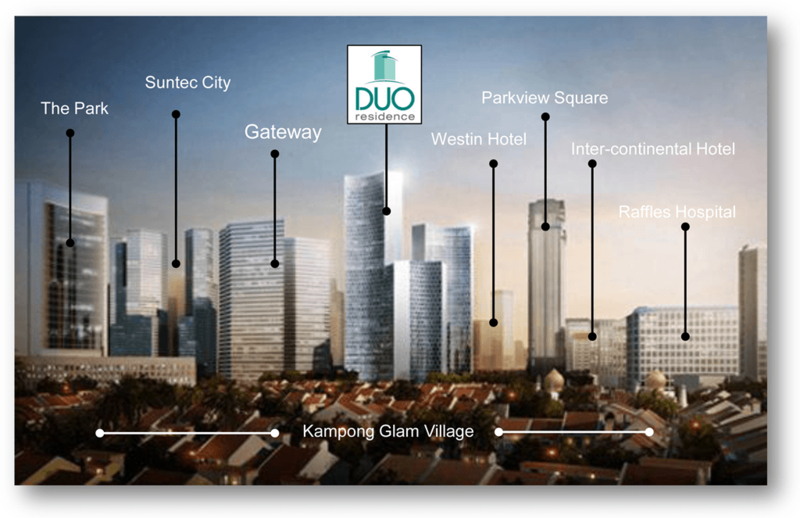 Duo Residences will stand attractively as a prestigious mixed development comprising of elegant residence units, grade-A offices, an outstanding 5-star hotel and a wide array of retail galleries, all within the embrace of one welcoming environment. The perfect craftsmanship of internationally respected architect, Ole Scheeren, will certainly make you yearn for Duo Residences. No doubt, this carefully planned development by the joint company M+S Pte Ltd (jointly owned by Malaysia’s Khazanah Nasional and Temasek Holding) will struck you with awe with its slender profiles of vertical facades rising towards the skyline and enhanced by the net-like hexagonal pattern of sunshades that highlights the dynamic concave contour. It has leisure zones and gardens that connect multiple transport hubs and serves as tropical foliage with vigorous commercial recreations, which are accessible anytime, 24 hours a day. Who would not want that? For more information on Duo Residences, simply fill up your details below and our salesperson will get in touch with you shortly!